Pantec Metrology had a very successful trade fair appearance at CONTROL 2016. Focal points of our presence have been our controllers CONDOR™ and EAGLE™ including different software features. Our booth has been full on all the four days and trade visitors were enthused by the outstanding devices. 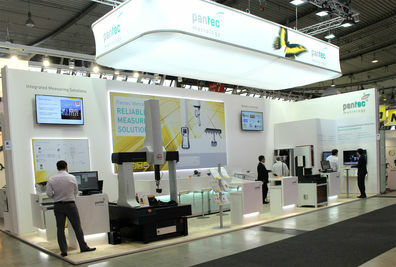 The show has also been a good opportunity to discuss latest market developments and trends and to confirm some important ongoing projects, leading to firm orders of the Pantec Metrology solutions.